Y’all, it is almost October. I feel like 2018 has literally flown by in a flurry of amazing books and yet! I still have not finished the Book Riot Read Harder Challenge despite my colleagues already rocking it. Internally screaming at how far behind I am in the challenge compared to the other Page Chasers. The “A One-sitting book”. Or One-sitting audiobook. 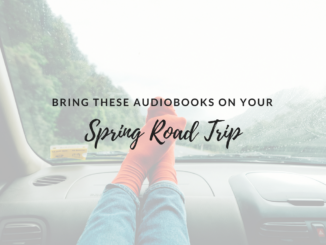 These books are totally doable when you have a couple hours to spare (and listen, I won’t tell if you want to spread it out amongst a couple sittings). 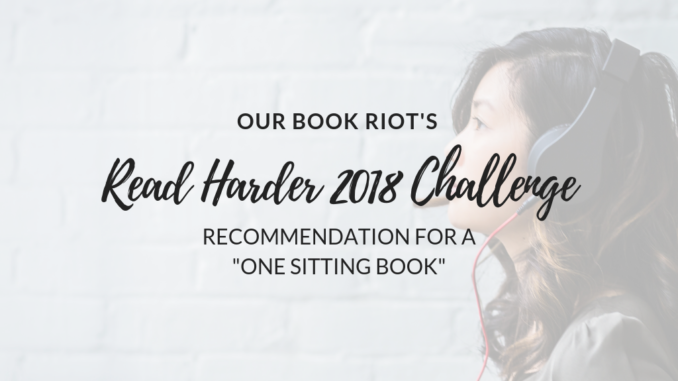 And, if you need to multi-task, I’ve included the audiobooks for these titles as well, so you can do all that stuff you gotta do (dusting the entire house, I’m looking at you) while also checking out this category box on the Read Harder Challenge. I feel like this book needs no explanation: it’s by one of the Civil Rights most forefront figureheads about her involvement in the Civil Rights movement. You should just read this out of patriotism. But to entice you further, it’s narrated by Robin Miles, who is an Audie Award-winning narrator. AND! Read a book in one day? Not even. You can finish the audiobook in just an hour and a half. Totally doable in one sitting. If romance is your game, then get you over to the Year of Weddings novellas. They are wonderfully sweet and romantic, have pretty bouquets on the covers, and most of these clock in under three hours. Boom! You just checked off a category from the Read Harder challenge. This is one of my favorite books of all time. Yes, it’s a children’s book. Yes, it’s a little over four hours (so a little longer than the other ones on this list). But oh… this is a true gem of a book. The time travel element disguises that this is actually a lovingly rendered coming-of-age novel, and the characters are wonderful and relatable. Be sure to give this one a listen, Read Harder Challenge or not. If you haven’t heard about Frederick Buechner, you should. His words are not only insightful, but they are pretty eye-opening without being in your face with truth bombs. It’s the subtle C.S. Lewis kind of wisdom that lays within his writings that will definitely endear you to him. And The Remarkable Ordinary of his is only three hours, so you could totally listen to the entire thing in just one long car ride. Also, this book is lovely, just trust me on this. Give it a listen to the sample, and I’m sure you’ll be wrapped into this book. Listen, I know I’ve sung the praises of this audiobook, but I’m going to do it again. It’s just that good. With both the narration from author Kwame Alexander and music found throughout the entire audiobook, it’s truly unique and just a delight of a book. 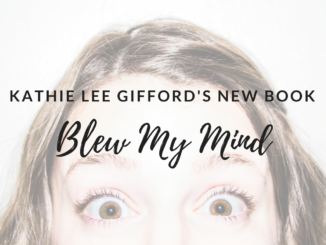 AND NO THIS WILL NOT BE THE LAST TIME I TALK ABOUT THIS AUDIOBOOK… I’m not sorry. Hopefully this gives you some inspiration to keep going for that Read Harder challenge! What books are your list of “read a book in one day” titles? Also! If you love audiobooks and want to chat with us about them, join us on the Page Chaser Audio Facebook Group!